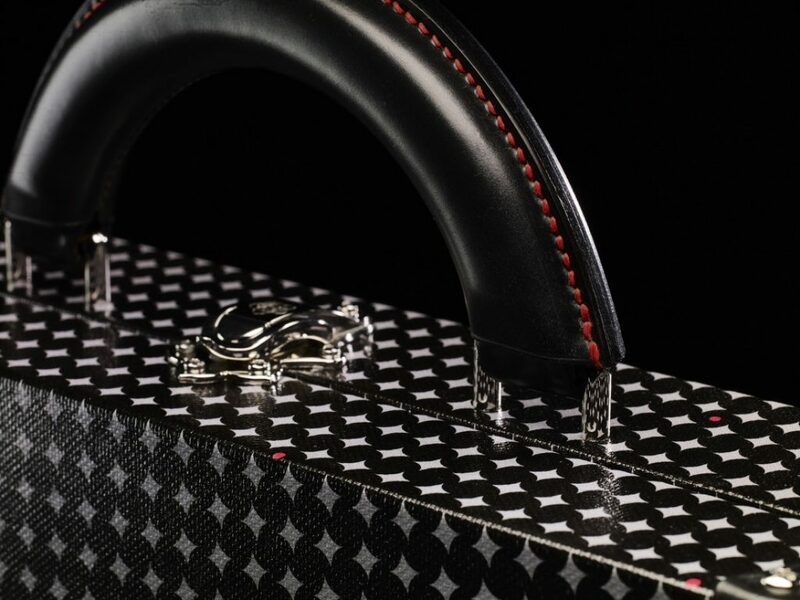 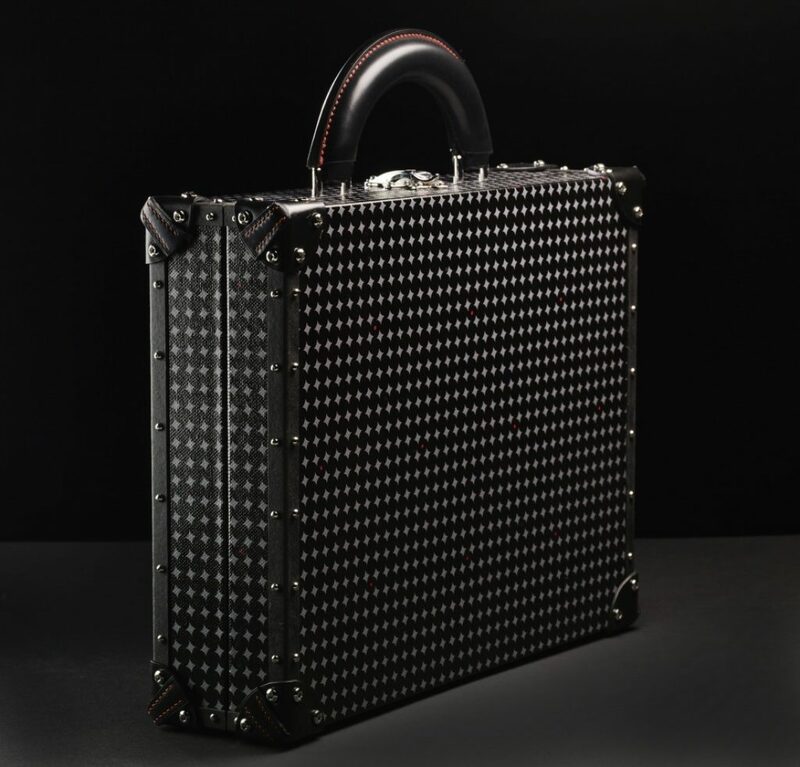 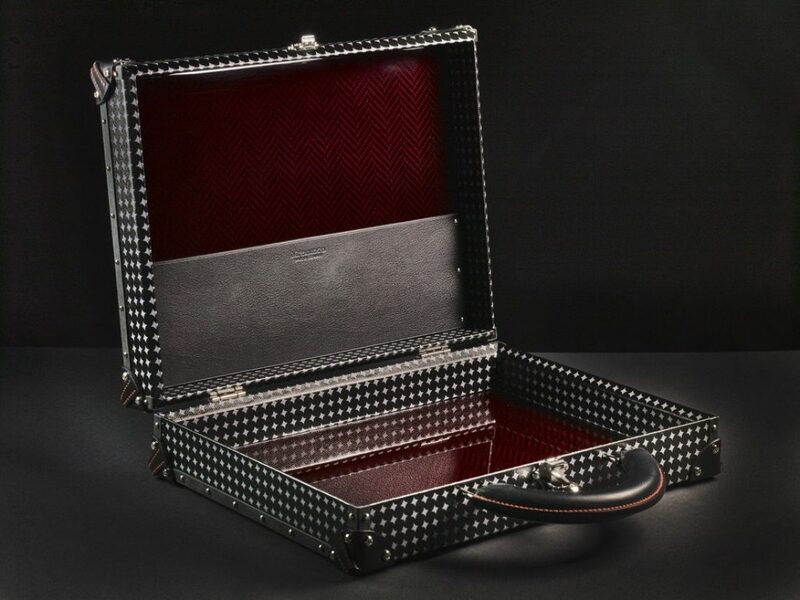 Briefcase moulded carbon fibre with ruby red tinted interior. 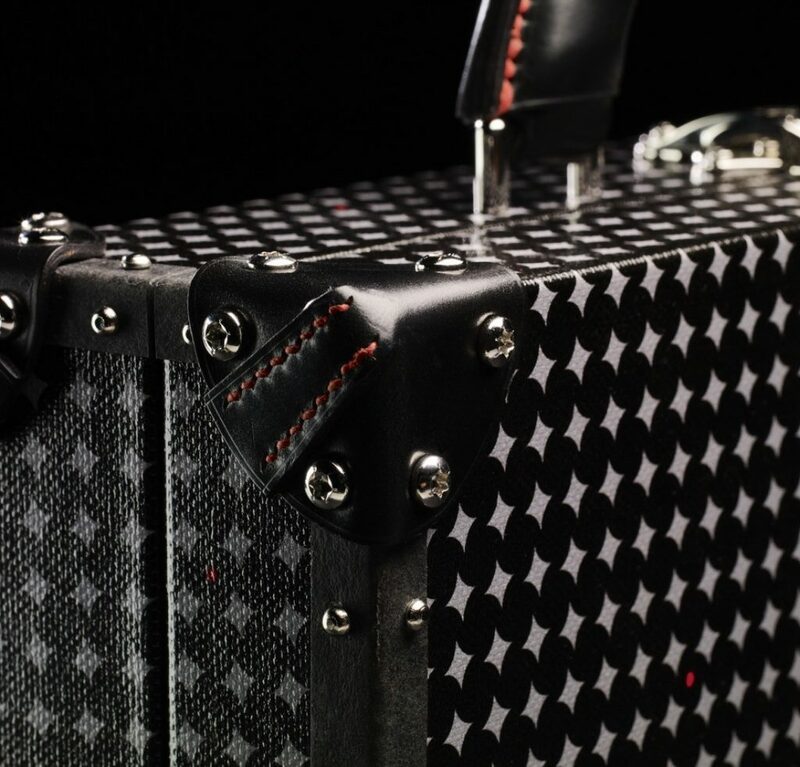 The exterior is covered in a coated canvas. 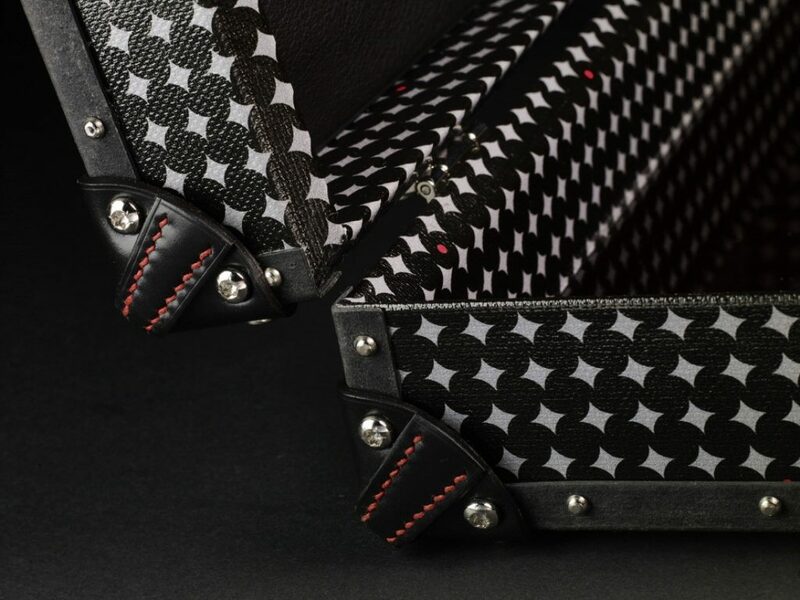 Shell cordovan handle and corners, stitched and finished by hand.